The go-to recreational sit on top kayak for both junior paddlers and smaller adults. A compact size boasting features such as the wheel-in-the-keel design for ease of transportation. 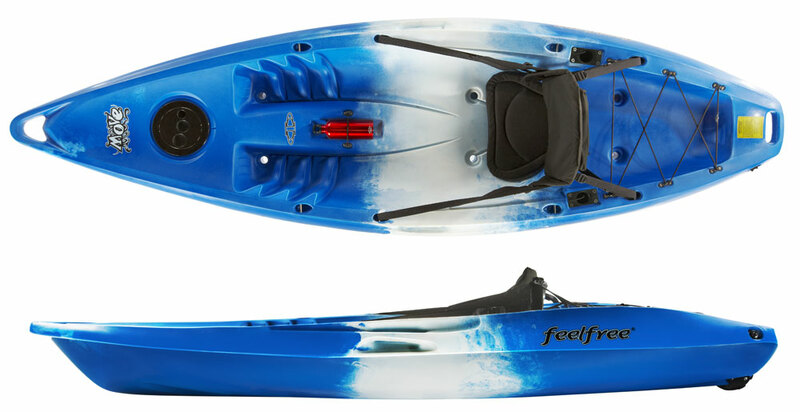 The perfect sit on top kayak for both smaller adults and children, the Feelfree Move is a very capable all round sit on in a more compact sizing. The hull of the Move has been designed with stability and tracking in mind. The move provides excellent initial stability, whilst keel line provides excellent straigh line tracking for a more compact sit on top. A great choice for the recreational paddler looking to explore along rivers, canals, lakes and estuaries. The Move features Feelfree's signature wheel-in-the-keel design making this compact sit on top even easier to transport! Moulded in carry handles all the way round make it easy to move to your launch point and a simple task to load on to any vehicles standard roof rack. Available in three different colour options and can be supplied with a range of different seats and paddles, there's something to suit everyones needs. Optional thigh straps can also be added to increase control, making the Move a great kayak to mess around in the surf with. 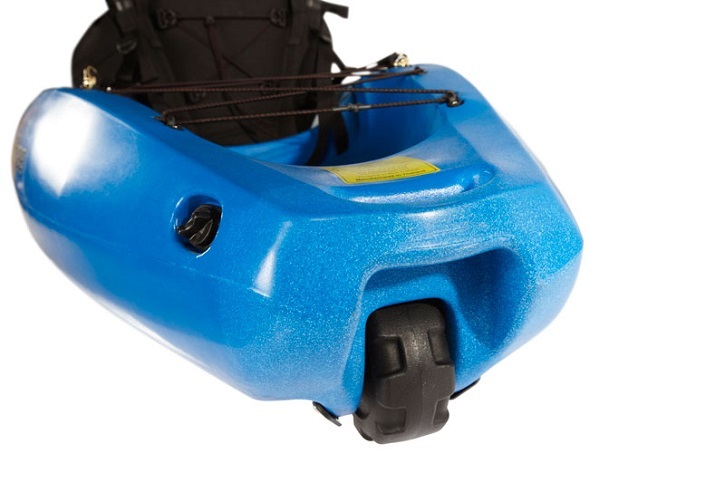 Optional flush mounted rod holders can also be fitted to make the Move an excellent first fishing kayak! It's twist-lock front storage hatch and large rear tankwell offer ample storage space for all of the essentials.